“The principle that those charged with upholding the Constitution – be it a Police Officer of the lowest rank or the President – are to do so in a way that does not violate the Doctrine of Public Trust’ by state action/inaction is a basic tenet of the Constitution which upholds the legitimacy of Government and the Sovereignty of the people. Above words had clearly spoken in the Supreme Court by giving a foremost place to the Doctrine of public trust which came into the stage at different times through different faces. It does not matter whether you are a police officer of the lowest rank or the president of the country. You have to act in a way that does not violate the trust doctrine. But in the current scenario, we have a question on implementation of the trust doctrine. Most of the resources which own by the people of Sri Lanka were used by the present government arbitrarily only to achieve their own agendas. Their agendas were never having the purpose of public benefit. But what they had in their minds were erasing the picture of the development which was drawn by the Rajapaksha regime. But what they did not understand was alienation of the Sri Lankan properties to the foreigners can not erase someone’s personality. What does it really means from the “Doctrine of Public Trust”? It is the principle that certain natural and cultural resources are preserved for public use, and that the government owns and must protect and maintain these resources for the public’s use. The word public is highly incorporated in the above definition. Everyone has to accept that the government is acting on behalf of the people. Government got the power from the people. The resource which enshrines the power is “people”. Article 3 of the constitution has stated crystal clear that “In the Republic of Sri Lanka sovereignty is in the People and is inalienable. Sovereignty includes the powers of government, fundamental rights and the franchise.” So the government has no legitimate right to cut down the rights of the Sri Lankan people to use those resources. It was the power of the people. So how is it possible for a government to give/sell or do whatever they want with our own resources? The eradication of these resources has started with giving the Hambanthota harbor to China for 99 year lease. Now the disaster has come a long way and it seems like uncontrollable. We have to ask from the government a simple question. Why we really elect a government? People elect a government for different reasons. But the common idea behind an electing a government is to protect the country’s dignity and people’s expectations by securing the country’s resources for future generations. But since 2015, we did not see any aid for the fulfillment of this purpose. The government is negligently excluding the expectations of the younger generation by selling and giving up all the Sri Lankan own properties to the foreigners. They just gave up the Hambanthota harbor though many people oppose the move. Even the government had to use the police to control the people who oppose. Think for a moment. How legitimate for a government of a country to justify their actions by suppressing the people by using police power. It is an undemocratic way of throwing the opinion of the people away. The same thing happened regarding the Galle cricket Stadium. At first, they tried to demolish the whole stadium. But due to the people of this country, the government failed to continue their selling agenda of Sri Lankan properties to the foreigners. By highlighting fake fears, the government is trying to sell Sri Lankan identity to the foreigners. They have planned already to give up many government own properties to the foreigners & private sector in upcoming days. ITN, a part of Katunayake airport & Mattala airport are some of them. But the most sarcastic thing is the ministers of the government planning to sell our own properties to balance the other country’s interests. The irresponsible behavior of the ministers has arisen fears of Sri Lankan people which seem like “actually we don’t own our country anymore.” The government is selling almost all heritages & properties without considering the opinion of the Sri Lankan people. The Prime Minister is acting like a tyranny while the president ignores all the opposing remarks as a dumb person. It is clear with these statements that at least the process should be transparent. But we don’t have any transparency at all. The government decides and the government executes while the right to question is rejected. How many people really know the powers and the manner which the present government uses to dispose the Sri Lankan heritages to foreigners? Only the few people who walk around the PM would know the real reasons and powers. On another side it is humorous to see the PM talking about the public trust when he was acting as the opposition leader who is now giving up the trust of the people by selling all the properties to the foreigners. Now the situation has turn to worst. The government easily ignores the words of the people while the president is still acting a paralyzed person’s character. Through the constitution we created a president’s role in order to protect the country by quickly preventing any harmful activity which can be done by any organ of the government. Sufficient powers have also given to the president for the above role. But unfortunately, that role was restricted just for a statue which silently watches everything: even the pigeon’s dirty works to its head. The people become hopeless with inability to prevent government’s arbitrary nature. However the “dignity + public trust” of the Sri Lanka have faced a serious threat and the resources which own by Sri Lankans gradually decreasing its Sri Lankan own identity. Now the time has come for a serious framework in order to rescue our heritages and properties for the future generation. We are not the people who should sacrifice our own identity to balance the countries. The government is only a trustee who looks after our heritages behalf of our selves. They don’t have any right to act contrary to that policy. It is violating the doctrine of public trust. A government should satisfy its people: not foreigners. So it’s the time to be active against selling the mother land to foreigners. If not, we might experience the bad effects which will cause up to three or four generations. සංවර්ධනය පිලිබද ගැටලුවේදි සංවර්ධනය වන රටවල් බහුලව භාවිතා කරන අදහසක් වන්නේ සම්පත් හිගය පිලිබද අදහසයි.තම රටවල් සංවර්ධනය කරා ගෙන යාමට නොහැකි වී ඇත්තේ අවශ්‍ය තරම් සම්පත් නොමැති නිසාවෙන් බව බහුලව භාවිතා කරන සහ පුනුරුච්චාරණය කරන අදහසකි .තවමත් අප අසංවර්ධනයේ දිලිදු මාවත තුල ගමන් කරමින් සිටින්නේ සම්පත් හිගය නිසාවෙන් බව බොහො විට දේශපාලකයන් තම වගකීමෙන් නිදහස් වීම සදහා භාවිතා කරන කරුණූකි . මෙහිදී අප සියලු දෙනා අමතක කරන සහ අපට අමතක කරවන කාරණය වන්නේ මානව සම්පත පිලිබද අදහසයි වර්ථමාන ලොකයේ මානව සම්පත දියුණු කිරීම තුලින් සංවර්ධනය කරා යා හැකි මාවත් සකස් වී ඇත්ෙත් .දැනුම සහ අදහස් නිෂ්පාදනය වර්ථමානයේ රටකට සංවර්ධනය කරා යා හැකි ප්‍රධාන මාවතක් බවට පත් වී තිබීම ෙහ්තුෙවනි . 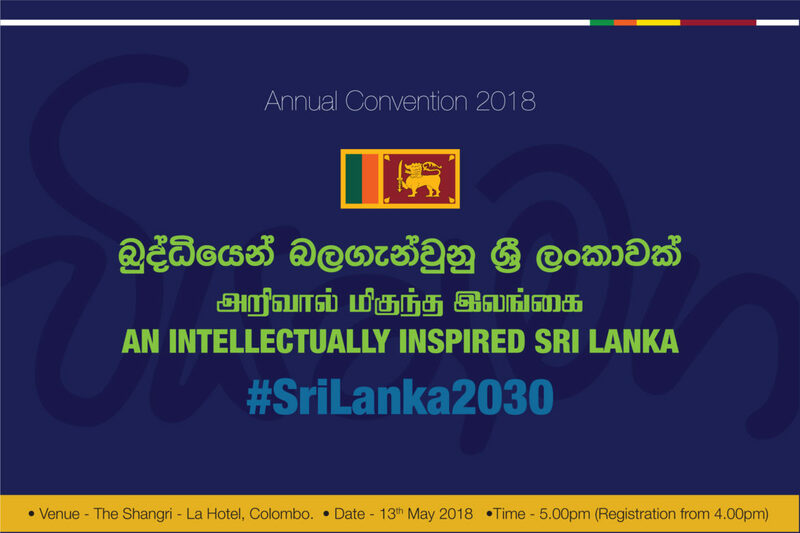 .ලංකාව් අධ්‍යපන පද්ධතිය තුලින් බිහි කරන පුරවැසියා සම්පතක් ලෙස රටේ සංවර්ධනයට දායක කර ගැනිමටත් එවැනි නිර්මාණශීලි නවොත්පාදන බිහි කරන නව අදහස්,මෙන්ම මානව ප්‍රේමය සහිත හිතුවක්කාරී දේශපාලකයෙකු බිහික ර ගැනීමටත් අධ්‍යපන ක්‍රමය පරිවර්ථනයකට ලක් විය යුතුය .සම්ප්‍රදාය නැමති මඩ ගොහොරුවේ ගිලී ඇති සමාජය පරිවර්ථනයකට ලක් කිරීමට නම් අධ්‍යපන පද්ධතිය තුල නව්‍ය කරනයක් ඇති කල යුතුය .ලංකාවේ මේ දක්වා සිදු කල කිසිදු අද්‍යපන ප්‍රතිසංස්කරණයකින් රටේ ආර්ථික වර්දනයට අවශ්‍ය ශ්‍රමිකයා නිෂ්පාදනය කිරීමට අපොසත් වී තිබේ.විශා ල ණය බරක් සමග දළ ජාතික ආදායමෙන් වැඩිම පංගුව ණය පොලී සහ ණය වාරික ගෙවීම වෙනුවෙන් වෙන් කරන අසාර්ථක රාජ්‍යයක ලක්ෂණ පෙන්නුම් කරන අප රටට ඉතා ඉක්මනින් අධ්‍යපන ප්‍රතිසංස්කරනයක් අවශ්‍ය වන්ෙන් ෙම් නිසාෙවනි . .අප මෙතෙක් කලක් සිදු කර ඇත්තේ අප සතු මානව සම්පත දියුණු කරනවා වෙනුවට මොට කරන අධ්‍යපනයකි . විභාගය පමණක් ඉලක්ක කර ගත් විෂය නිර්දේශ හමුවේ තරගය නැමති ගල් රොල විසින් මානව සම්පත් තුල අැති දියුනු කල හැකි වෙනත් කුෂලතා තලා විනාශ කර දමා ඇත .එහෙයින් විභාග කේන්ද්‍රිය අධ්‍යපන ක්‍රමය වෙනුවට පුද්ගල කුෂලතා දියුණු කරන අධ්‍යපන ක්‍රමයක් බහි විය යුතුය .වර්තමානය වන විට දැනුම ලබා දීමට වඩා සිදු විය යුත්තේ දැනුම ලබා ගත හැකි කුෂලතාවයන් දියුනු කිරීමය .හෙතුව වර්තමානයේ දැනුම වෙගයෙන් යල් පැන ගිය එකක් බවට පත වන අතර නව දැනුම යලි යලිත් ඇති වීමය .අතීතයේ අධ්‍යපනයෙ අරමුණු ලෙස විස්තර කල දැනුම ආකල්ප කුසලතා වල දැනුම මැනීම සදහා භාවිතා කලවිභාග ක්‍රමය තුලින් අකල්ප සහ කුෂලතා සංවර්ධනය වීමක් සිදු නොවන අතර ෙපාෙත් දැනුම පමණක් කරපින්නා ගත් සහතික පමණක් අතැති . අසාර්තක නිළධාරීන් රට වෙනුවෙන් තීරණ ගන්නේද අවම වශයෙන් දැනුම වත් නොමැති දේශපාලකයින් තම පාලකයින් ලෙස පතකර ගන්නා ජනතාවක් නිර්ෙමාණය වන්නේ අධ්‍යපනයේ ගැටලුව නිසාවෙනි .අපි අධයපනය තුලින් රටට අවශ්‍ය මානව සම්පත නිර්මාණය කරන්නේ කෙසේද? යන ගැටලුවට අප විසදුම් සොයා නොමැත .මේ සදහා පැලැස්තර ප්‍රතිසංස්කරණ වෙනුවට ගැටලුව ගැඹුරින් හදාරා ගැලපෙන අධ්‍යපන ප්‍රතිසංස්කරණයන් ඇති කිරීම වර්තමාන රජය හමුවේ ඇති අභියොගයකි . සි ඩබ් ඩබ් කන්නංගර මැතිතුමාගේ නිදහස් අධ්‍යපන ප්‍රතිසංස්කරණ ඒ යුගයේ ඉතාමත් ඉදිරිගාමී පියවරක් විය ඒ වෙනුවෙන් විශාල ජනතා බලවේගයක් ගොඩනැගුනු අතර එම ජනතා බලවේගයේ බලපෑම මත පැවත් රජයට නිදහස් අධ්‍යපන පනත ඉක්මනින් ගෙන ඒමට මෙන්ම අදාල ප්‍රතිසංස්කරණ ඉක්මනින් සිදුකිරීමටද සිදු විය.එහි ප්‍රතිඑලයක් ලෙස ලංකාවේ සාක්ෂරතාවය ඉතා ඉක්මනින් ඉහල නැංවීමට හැකියාව ලැබිණි .එ අනුව සංවර්ධිත රටක මට්ටමට සාක්ෂරතාවය ඉහළ ගියේය. එහෙත් නිදහස් අධයපන පනතට පසුව සිදුවූ කිසිදු අධ්‍යපන ප්‍රතිසංස්කරණයකින් රටේ සංවර්ධනයට අවශ්‍ය කරන පුහුණු මානව සම්පත ගොඩ නැගිම සිදු දකල නොහැකඅි වුයේ සිදු කරන ලද ප්‍රතිසංස්කරණ සියල්ලම කරන්නන් වාලේ සිදු කලා මිස පුලුල් හා ගැඹුරු අධ්‍යයනයකින් පසුව නියාමන ආදර්ශයන් ලෙස සිදු කර යහපත් අයහපත් ප්‍රතිඑල සැලකිල්ලට නොගෙන අධ්‍යයපන පද්ධතිය තුලට ඇතුල් කිරීම නිසා අධ්‍යයපන පද්ධතිය විකෘති වීය. වරින් වර බලයට පත්වු අධ්‍යපන ඇමති වරුන්ගේ පෞදගලික අදහස් අධ්‍යපන ප්‍රතිසංස්කරණ ලෙස ඉදිරිපත් වීම මෙම තත්වය දරුණු කරනු ලැබිය. මේ හේතුව නිසාම 1991 දී අධ්‍යපන ප්‍රතිසංස්කරණ උදෙසා නිර්දේශ ඉදිරිපත් කිරීම සදහා කොමිෂන් සභාවක් ස්ථාපිත කරනු ලැබුවද ලංකාවේ අධයපනයෙන් නිර්මාණය වු නිළදාරීන්ගේ අකාර්යක්ෂමතාවය සහ සාම්ප්‍රදායිකත්වයේ මඩ වලවල් වලින් එලියට ඒමේ නොහැකියාවත් ඇමතිවරුන්ගේ අධික බලය හමුවේ වකුටු වි ගිය කෂේරුකාවනුත් හේතුවේන් ඉදිරිගාමී අධ්‍යපන ප්‍රතිසංස්කරණයන් සිදු කිරිමට පැවති ආන්ඩු වලට නොහැකි විය .එසේම රට සංවර්ධනය කරා ගෙන යාමට නිෂ්චිත වැඩපිලිවෙලක් ඉදිරිදැක්මක් ඉදිරිපත් කර ඒ සදහා අධ්‍යපනය මෙහෙය යුතු වුවද අදටත් රජයේ ප්‍රතිපත්ති සෙ සලකන්නේ මැතිවරණය වෙනුවෙන් ජනතාවට ලබා දෙන පොරොන්ු මලු වේ ඒ නිසා මානව සම්පත රටේ සංවර්ධනය වෙනුවෙන් දියුණු කිරීමේ රැඩිකල් වෙනස් කම් වලට නොගොස් ජාම බේරාගෙන බලය රැක ගැනීමේ ණය සංවර්ධනය කිරීම දිගින් දිගම සිදු කලේය .අධ්‍යපන පද්ධතිය බිද වැටිනි. (ලී ක්වාන් යු වරක් මෙසේ පවසා තිබිනි . මා මාගේ සිංගප්පුරුව දියුණු කරනු ලැබුයේ මානව සම්පත කෙරෙහි විස්වාසය තැබීමෙනි ඒ කරුණු 3ක් ඔස්සේය. මානව සම්පත් කලමනාකරණය තුලින් ලොකයේ වෙගවත් සංවර්ධනයක් අත්පත් කරගත් සිංගප්පූරු අගමැති වරයා තම රට සංවර්ධනය කෙරෙහි මුලින්ම සිදු කරන ලද්දේ තම රට සතු මානව සමපත සංවර්ධනය කිරීමයි ඒ නිසා එරට ට පැමි ණිආයොජන වලට පුහුනු සහ ධකාත්මක ආකල්ප සහිත ශ්‍රමිකයින් ලැබුණු අතර ආයොජන දිරි ගන්වනු ලැබීය .ලංකාව 1977 සිට අද දක්වා විදේශ ආයොජන කෙරෙහි බලාපොරොත්තු තබාගෙන සිටියද අප රට ආයොජකයින් ගේ පැමිණීම දුර්වල කිරීමට අප සතු මානව සම්පතහි දුර්වලතාවයද බලපෑවේය .විශේෂයෙන් ඇගලුම් වැනි කර්මාන්ත අප රටට පැමිණි නමුත් තාක්ෂණික කාර්මික අංශ වල ආගමනයක් සිදු නොවීමට හේතු වුයේ අප රට සතු දියුණු මානව සම්පතක් අධ්‍යපනය තුලින් වර්ධනය කිරිමට අපොසත් වීමය. එසේම ආකල්ප සංවර්ධනය කෙරෙහි අධයපන අමාත්‍යංශය පමණක් නොව දෙමාපියන් පවා දකවන්නේ අඩු අවධානයකි .විභාග ලකුණු මත සිසුන් මැනෙන අතර ඔවුන් සතු විභවතා සංවර්ධනය කෙරෙහි අවධානය යොමු නොකිරීම ලංකාවේ අධ්‍යපන ක්‍රමය තුල ඇති ප්‍රබල අඩුවකි .අද දක්වාම විදේශ ආයොජන ලංකාව කෙරෙහි අවධානය යොමු නොකිරීමට හේතුව වෙළදපොළ සාධකයට වඩා එලදායිතාවය පිලබද සාධකය බලපා ඇත. ඉංග්‍රීසි අධයපනය මෙන්ම තාකසණික දැනුම පුහුණුව ආකල්ප වෘත්තිය අධ්‍යපනය පාසල් පද්ධතිය තුල දුර්වල මට්ටමක පවතින අතර නීරස් විෂය නිර්දේශයන් වන පොත් කිරීමට සිසුන් පොළබවා ඇත මේ තුල පාලනය කිරීමට නොහැකි ලෙස ටියුෂන් අධ්‍යපනය පැතිර යාම සිදුව ඇත . කප්පරක් සැලසුම් දර්ශක අරමුනු චක්‍රෙලේඛන තිබුනද අධයපනය එක තැන පල්වෙන්නේ ඇයිදැයි කිසිවෙක් මේ දක්වා ප්‍රශ්ණ කර නැත .වචන සහ භාවිතාවත් භාවිතාව සහ ප්‍රතිඑලයත් අතර ඇති හිදැස් පුරවා දැමීමකින් තොරව අධ්‍යපනය සකස් කල නොහැක.අනුකාරක වාදී නිළධරුවන් පිරිසකට කල හැකි ප්‍රමාණය දශක කීපයක් තිස්සේ පෙන්වා දී ඇත .මීට වඩා යමක් මෙවැනි අනුකාරක වාදී සැලසුම් කරවන්ගෙන බලාපොරොත්තු විය නොහැක .දැන් අවශය වන්නේ අවධානම දරාගත් සාධනීය අධ්‍යපන විප්ලවයකි .ඒ සදහා අලුත් මිනිසුන් සමුහයක් සැලසුම් කරණයටත් තීර්ණ ගැනීමටත් පත් විය යුතුය .සියලු දෙනා සතුට කීරීමට යන අයිස්ක්‍රීම් වෙළදාම අධ්‍යපන ක්ෂත්‍රෙය් තව දුරටත් සිදු නොවිය යුතු අතර නිවරදි දේ න්‍යයාත්මකව කවර බලපෑමක් හමුවේ උවද සිදු කර අදට නොව හෙටට ඇවසි සතුට වෙනුවෙන් තීරණ ගත යුතු වෙමු . මෙහි ඇති ගැටලුව වන්නේ ඉහත සදහන් නිපුනතා සකස් කිරිමේදී ලගාකර ගැනීමේ ක්‍රම වේදයන් දක්වා නොතිබිමත් නිපුනතා වල ක්‍රමවත් භාවයක් නොමැති වීමත් අධ්‍යපන බලධාරීන් මේ පිලිබදව දැනුවත් නොමැති වීමත් ප්‍රාෙයාගිකව පවතින විෂය මාලා සමග නොගැලපීමත් නිසා මම නිපුනතා එක් එක් වයස් සීමාවන් සමග සමපාත නොකිරීමත් නිසා මෙවා හුදෙක් ලියවිලි වබට පමණක් පත් වී තිබේ .එම නිසා රටට අවශ්‍ය කරන දියුණු මානව සම්පතක් බිහි කර ගැනීම සදහා මෙම මුලික නිපුනතා නැවත් සකස් කර ගත යුතුව ඇත.එසේම මේ සදහා විෂය මාලාවක් මෙන්ම විෂය බාහිර ක්‍රියාකාරකම් හදුන්වා දිය යුතු වේ .ලංකාවේ අධ්‍යපනය නැවත සකස් කිරීමට නම් ගැඹුරු සහ පලල් හැදෑරීමක් මගින් අවශ්‍ය අධ්‍යපන ක්‍රමය සකස් කර ගැනීම සිදු කල යුතු වේ.සිද්ධි කලමනාකරණයෙන් එහා ගිය අධ්‍යපන වෙනසක් අවශ්‍ය කරනුයේ ඒ සදහායි . එහිදී ගුරුවරුන් සංවර්ධනය කිරීම අනිවාර්ය කොන්දේසියකි වන්නේය ලංකාව තුල ගුරු භූමිකාව පත්ව ඇති අසරණ තත්වය අනුව ගුරුවරයාට අනෙකුකට මග පෙන්වීමට තබා තමන්ට මග් පෙන්වා ගැනීමටවත් දැක්මක් නොමැති බව සමහර සිදු වීම් තුලින් පෙනේ .එසේම ගුරු භූම්කාව එකතැන පල්වෙන භූමිකාවක් බවට පත් කර ඇත. සිංගප්පූරුව වැනි රට වල ගුරුවරුන් සදහා ඉහළට ගමන් කල හැකි රැකියා මාර්ගයන් අැති කර අැති නමුත් ලංකාෙව් උපග්‍ුරුවරෙයකු ෙලස ෙස්වයට බැදි උපගුරුවරෙයකු ෙලසම විශ්‍රම යන ක්‍රම ෙවදයක් අැත ඒ් අතර තුර විභාගයන් සදහා ඉදිරි පත් ෙනාවුවෙහාත් හැකියාව ෙහා දක්ෂතාවය කැපවිම මත ඉහළ යාෙම් හැකියාවක් ෙනාමැත . අපි දැක්මක් හො අරමුණක් රහිතව අධ්‍යපනය දියුණූ කිරීමට යාමේ ගැටලුවට මුහුණ දෙමින් සිටිමු .විසදුම් අහිමි ගැටලු කරමත තබාගෙන අනාගතය කරා බඩ ගෑමට පරම්පරා කීපයකට සිදුව ඇත්තේ අධ්‍යපනයෙන් නිර්මාණය කල යුතු පූර්ණ පුරවැසියා නිර්මාණය කිරීමට අපොසත් වීම නිසාවෙනි . මානව සංවර්ධන දර්ශකයේ ඉහල අගයක් කරා රට ගෙන යා හැකි තෘප්තිමත් සතුටින් තම ජීවිතය ගතකරන මත් පැන් කුඩු ගංජා වලින් විමුක්තිය නොසොයන සාමකාමී ඉහළ පෞර්ෂයකින් යුත් තම රට ණය බරින් මුදවා ගෙන අනාගත පරපුර සදහා බාරදිය හැකි පරම්පරාවක් නිර්මාණය කිරීම සදහා අධ්‍යපන ක්‍රමය ඉතා ඉක්මනින් ප්‍රතිසංස්කරණයකට ලක් විය යුතුය . 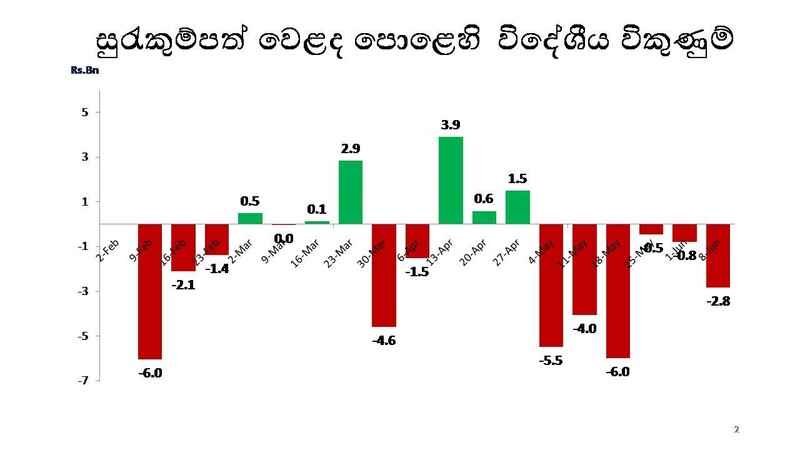 The Economy in Sri Lanka, was one of the promising Economic models in Asia, systematically started to decline during last half of 2015 due to untested economic strategies. The Island nation enjoyed the lime light of the peace, after the conclusion of the Civil war which paralyzed our economic and the financial systems, Social values and right to survive. The New beginning of economy kicked started somewhere 2010 after termination of armed conflict. This was a grim period of existence, where global economy in turmoil as Banking bubble devastating in USA and UK. The Impact of Mortgage driven lending factors and Wall Street Financial Bake House started burning with the aid of the quants of Wall Street. Fortunately, Sri Lankan financial purge stopped with Ceylinco Based Golden Key Company collapse and Managed with using tools of regulators ending the Bank Run. Sri Lanka was better financially managed despite staggering cost of war. The Economic Recovery started, alongside with new Express and highway constructions, Internal road buildup, Massive port build up and up grading Internal marine resources. The Railway transport restoration begun with new extensions. A vision setup for a Promising economic growth, Values and social standings. Sri Lanka logically corrected the growth driven path after lapse of three to five years of recovery, as massive funding channeled to restore the destruction inherited over thirty years. The world surprised to believe, how Sri Lankans made economic upheaval just over five years to 2015. Sadly, we are now experiencing an Economic melting. The Economic slowdown started from the first half of 2015. The collapse started breaching an International Agreement with China, the second largest economic power house in the world, grounding development of Port City Constructions and which led to seize all foreign investments till today at large. 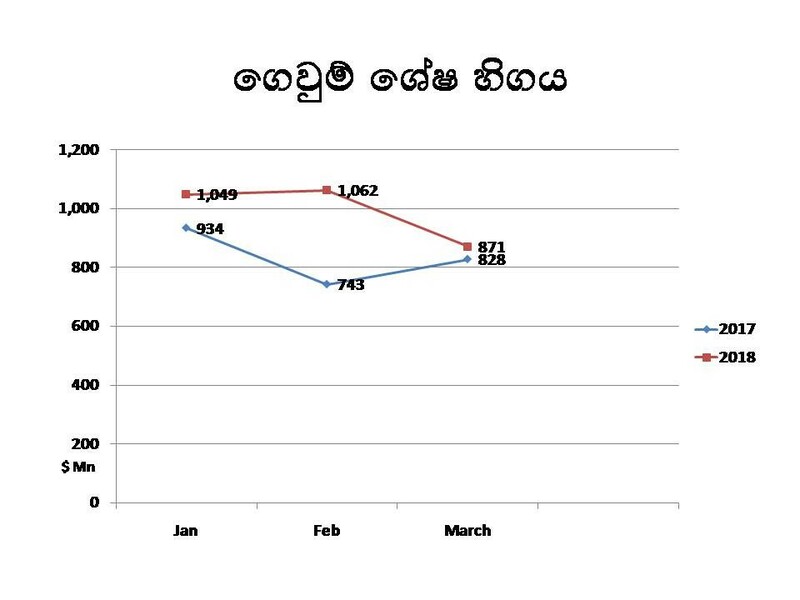 Since then we observe the bad omen of gradual depreciation of exchange rate from LKR 133 in 2015 to LKR 160 in June 2018. The Twilight begins with the steep decline of local and Foreign Financial Assets belongs to our Economy as the all the Financial Institutions are heated of increasing delinquency Credit to 7% (Non-Performing advances) and financial stagnation. Financial Assets have diminishing faster in value, while Liabilities are growing at a speed without regulatory intervention. 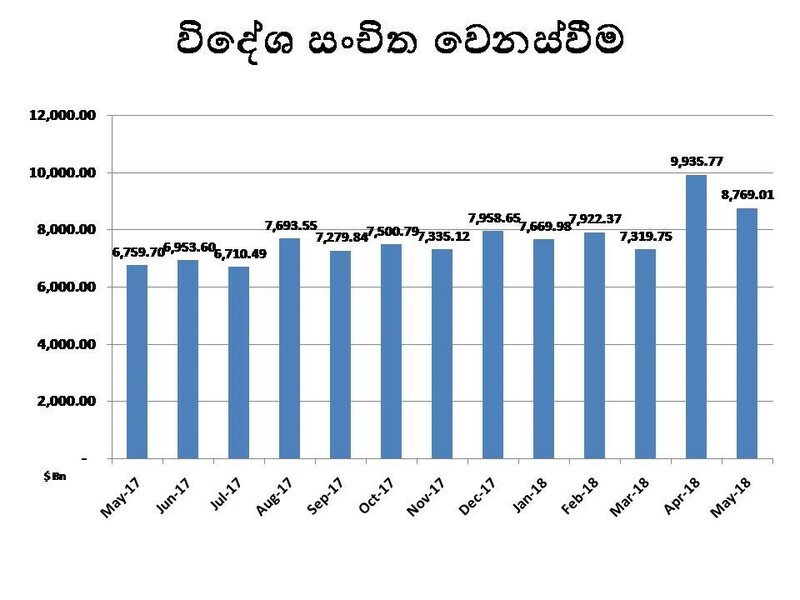 At the same time, The Auditor General of Sri Lanka declared, the Debt standing at Rs.10,702 billion or more than Rs.389 billion at 81% against GDP correcting Central Bank figure. 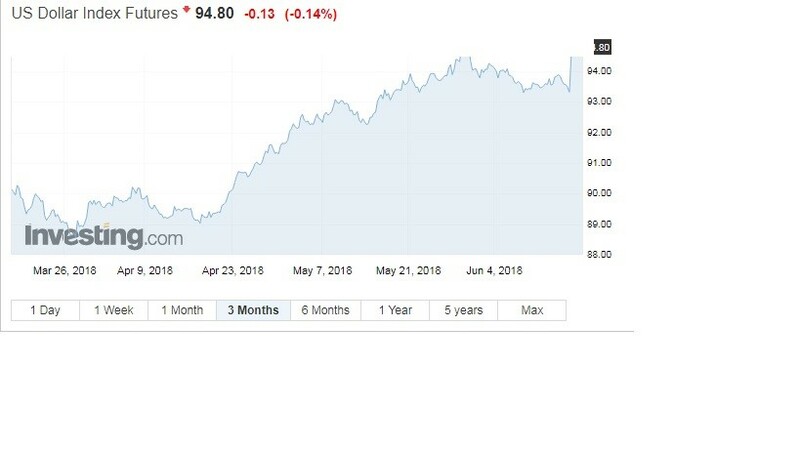 The rupee depreciation along a mammoth 196 Billion from January – June 2018, as stated by Mr. A Cabral, former Governor of Central Bank of Sri Lanka, according to Leading Island News Web site. It is very strange that the State owned two Important Financial Audit Institutions giving two opinions on the same subject, indicates, our financial reporting discrepancies are beyond acceptance. If this is so, some Banks show, a mammoth Profit, but Asset value are behind the actual lending values. This was similar to Lehman Brothers, the fourth largest Investment Bank in USA, Broken in to Pieces, due to predatory Lending, Manipulation, large scale scams and subprime mortgages. The share value blown up outside of Wall Street to Cents Fifty. taking place, Debt Service ratio fallen in to doldrums, as exchange income declines, Foreign Currency held account under taxation have dimmed the prospects to very uncertain limits. It is the Banking Truth that growing credit is the oil of the engine, that Supports Economy. The Fitch further says, the credit growth reduced from 21.5% to 17.5% from just one year between 2015 to 2016. The Macro Consumption also reduced by 4% on top of tax increase beguile to the worse prepositions. Only unmanaged Construction Industry has grown alarming a Credit Risk, as per some Bank reports. Natural Disasters, never ending political turmoil, no strategic development plan resulted the slowdown of Macro-Economic performance, recorded the poorest Growth since 2001 and the lowest for the 16 years to 3.1% in 2017. The report adding that the outlook of Sri Lankan Banks remains negative due to dismal Performance of Corporate Environment. Assets & Deposits. 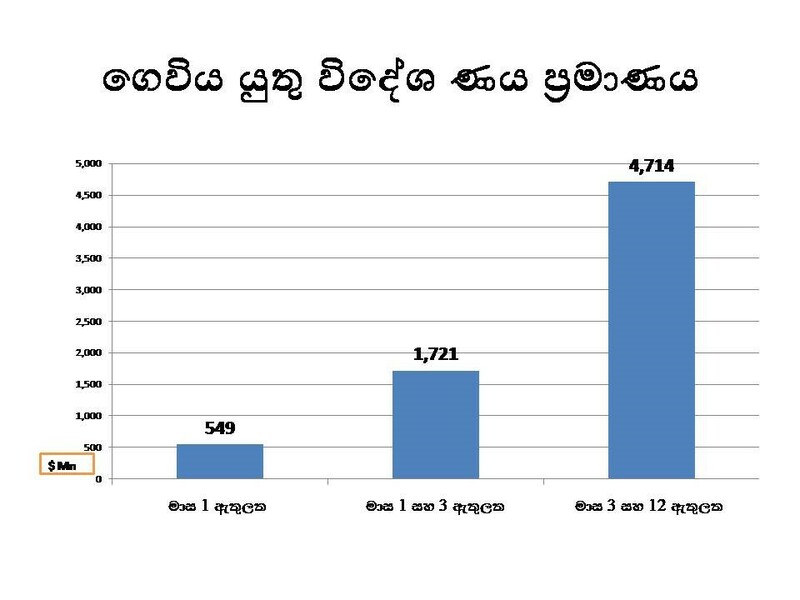 Only progressive Banks like Commercial Bank, Sampath Bank and Hatton National Bank contribute to 10% and the Bank of Ceylon and Peoples Bank owns 16%-20% of the banking economy. 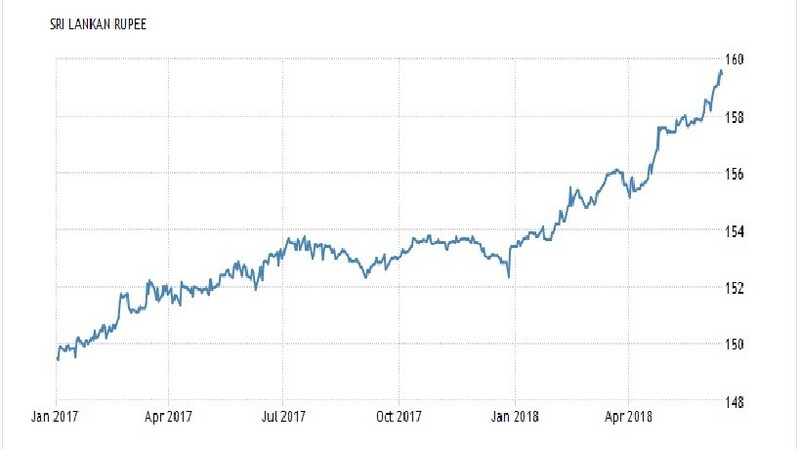 The Small Banks getting the cold as their Bad loans now rising at their chest level due to High Interest Cost, Delinquent Credit and rigidity in market expansion with the reduction of aggregate demand. 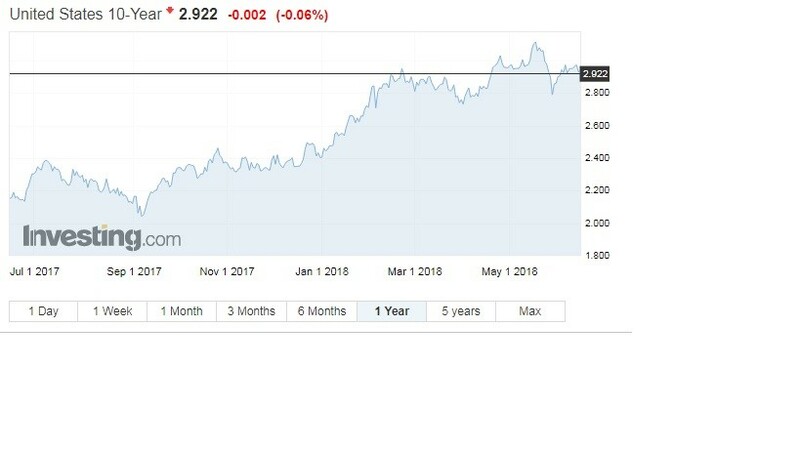 One of the main reason of the crisis is increasing treasury stock or Printing Money to a disastrous level made steep price increase in General goods and services. By 2015, printing money stood Rs.219 billon raised to Rs.320 billion in December 2016 as EconomyNext.com reported. The Sri Lankan Banks suffering from high fever of liquidity crisis like large scale State borrowing at State Banks to fund failed State Enterprises, declining demand for Ordinary credit, exhaust of refinance Schemes under State Sponsorship, frustration at Goods & Services Markets on demand & Supply, Overcrowded Banking at various Levels are some of them. now made to Negotiable to comfort to each other’s convenience and Politicians imposing as Judiciary manipulating the very unstable foundation in the Island. It is quite difficult to regularize the Banking and Financial services making progressive and dynamics, unless we get rid of Quants, Con Political Actors and de regulators or so. The Recent massive fraud of Bonds buying at the Highest Financial Supervisory Controller is an example, as how the Wolves of Queen Street, devastated with an alien, imposed as the Head of Bankers to Bank of Sri Lanka. The broken down of EAP Fiasco is in small scale exposed, how Banking Supervision in the country is so weak, not so late from Golden Key Saga. මේ දිනවල වැඩිපුර කතාබහට ලක්වන මාතෘකාවක් තමයි රුපියලේ අගය අවප්‍රමානය වීම.මේ දිනවල දේශපාලන වේදීකාවේ වගේම ආර්ථික විද්‍යඥයින් මේ ගැන විවිධාකාරයෙන් අදහස් දක්වනු දකින්නට ලැබුනා.මොකද රුපියලේ අගය අවප්‍රමානය වීම මගින් අපේ එදිනෙදා ජීවිතයේ වැඩවලට, සේවාවන් සදහා වන බලපෑම් බොහොම වැඩියි.කිරිපිටි මිල, ගෑස් මිල, තෙල් මිල සිට බෙහෙත් වර්ග දක්වා අපේ එදිනෙදා ජීවිතයට අවශ්‍ය වන ආනයන භාණ්ඩ බොහොමයක මිල ගනන් වෙනස් වන්න පුලුවන් රුපියලේ අගය අවප්‍රමානය වීම සමඟ. මේ වනවිට ඇමරිකානු ඩොලරයට සාපේක්ෂව රුපියලේ අගය ඉතිහාසයේ වාර්තවූ අවම අගය වන 160 ඉක්මවූ අගයක් වාර්තා වනවා.ඇයි අපේ රුපියල මේ විදියට අවප්‍රමානය වන්නේ.පහත විස්තර කරලා තියෙන්නේ ඒ සදහා බලපාන හේතු කිහිපයක් . ලෝකයේ ප්‍රධානතම මුදල් වලට සාපේක්ෂව ඩොලරය ශක්තිමත් වීම .අන්තර්ජාලයේ සේවීමක් කලහොත් දැකගන්න පුලුවන් Dollar Index එකක්.මෙම දර්ශකයට අදාල කේතය ලෙස DXY දක්වන්න පුලුවන්. මෙම Dollar Index එක මගින් ලොව ගනුදෙනු සිදුකරන ප්‍රධානතම මූදල් වන යුරෝ, ජපාන යෙන්, මහා බ්‍රිතාන්‍යයේ පවුම, කැනේඩියානු ඩොලරය , ස්වීඩන ක්‍රෝනා සහ ස්විට්සර්ලන්තයේ ෆ්‍රෑන්ක් මුදල් ඒකක වලට සාපේක්ෂව ඩොලරයේ වටිනාකම වෙනස් වීම ලබාගැනීමට පුලුවන්.පසුගිය මාස තුන ඇතුලත වාර්තාවන ඉහලම අගය මෙම dollar index වාර්තා කරනු ලබනවා.මෙයට හේතුව ලෙස දිනෙන් දින ශක්තිමත් වන ඇමරිකානු ආර්ථිකය හදුන්වන්න පුලුවන්.ඇමරිකානු මධ්‍යම බැංකුව දකින විදියට දශක ගනනාවකින් ඇමරිකානු ආර්ථිකය හොදින්ම ,ශක්තිමත්ව පවතින අවස්තාව තමා මෙය.ශ්‍රී ලංකාවේ පමණක් නොවෙයි දකුණු ආසියාවේ අනෙකුත් රටවලුත් ඔවුන්ගේ මුදල් ඒකක අවප්‍රමානය වීම පසුගිය මාස කිහිපය තුල දකින්නට ලැබුනා.උදාහරණයක් ලෙස ඉන්දියානු රුපියල සහ පාකිස්තානු රුපියලත් ඩොලරයට සාපේක්ෂව අවප්‍රමානය වෙලා තිබෙනවා. මෙම කාරනය ඉහත සදහන් කල ඩොලරයේ ශක්තිමත් වීම සහ ඇමරිකානු ආර්ථිකයේ ශක්තිමත් වීම හා සම්බන්යි.අපේ රටේ මූල්‍ය වෙලදපොලවල් වන භාණ්ඩාගාර බිල්පත් සහ බැදුම්කර වෙලදපොලත් ,කොටස් වෙලදපොලත් ගතහොත් මුල් මාස පහ ඇතුලත ශුද්ධ විදේශීය විකුණුම් දැකිය හැකියි.මුල් මාස පහ ඇතුලත කොටස් වෙලදපොලෙහ විදේශීය විකුණුම් රුපියල් බිලියන 1.2 පමන වනවා.භාණ්ඩාගාර බිල්පත් සහ බැදුම්කර වෙලදපොලෙහි විදේශීය විකුණුම් රුපියල් බිලියන 23 ක්.මේ ආකාරයට ඩොලර් ලංකාවේන් පිටතට යාමේදී රුපියලේ අගය අවප්‍රමානය වනවා. මෙම විකුණුම් වලට හේතුවක් ලෙස ඉහළ යන ඇමරිකානු පොලී අනුපාත හදුන්වන්න පුලුවන්.පහුගිය කාලය පුරාවට ඇමරිකානු ඔහුන්ගේ පොලී අනුපාත පහල අගයක තබාගත්තත් දැන් ඔවුන් එය ක්‍රමයෙන් ඉහල දැමීම ආරම්භ කරලා.2008 මූල්‍ය අර්බුදයෙන් පසු ඇමරිකාව විසින් කරගෙන ගිය Quantitative Easing වැඩසටහන ඔවුන් අවසන් කර ඔවුන්ගේ පොලී අනුපාත තිබිය යුතු නියම මට්ටමට ඔවුන් දැන් ක්‍රමයෙන් ගෙන එනවා.අවුරුදු දෙකකට පෙර 1.4% පොලී අනුපාතයක් තිබූ දස අවුරුදු ඇමරිකානු බැදුම්කර පොලී අනුපාතය මේ වනවිට 3% ආසන්නයි.ඇමරිකානු බිල්පත් සහ බැදුම්කර මෙවැනි ආකර්ෂණීය පොලී අනුපාත ගෙවන විට විදේශිකයන් හට අවධානම වැඩි ශ්‍රී ලංකාව වගේ රටවල් වල ආයෝජනය කිරීමට අවශ්‍යතාවයක් නැහැ.මෙය ලංකාවට පමණක් නොවෙයි දකුණු ආසියාවේ සහ අග්නිදිග ආසියාවේ බොහෝ රටවලට පොදු දෙයක්.අඩු පොලී අනුපාත පවතින විට ලංකාව වගේ වැඩි පොලී අනුපාත ඇති රටවල් වල මූල්‍ය වෙලදපොල වෙත ආපු විදේශීය ආයෝජන මේවනවිට නැවතත් ඇමරිකාව වෙත යනවා. මහ බැංකු මූල්‍ය වර්තා අනුව පලමු මාස තුන ඇතුලත අපගේ ගෙවුම් ශේෂ හිගය 2017 වසර සමඟ සසදනවිට රුපියල් බිලියන 50 පමණ ඉහළ ගොස් තිබෙනවා.මෙම ගෙවුම් ශේෂ හිගය වැඩිවීමට ප්‍රදාන වශයෙන්ම දායක වෙලා තියෙන්නේ වාහන ආනයන,සහ තෙල් ආනයන.2016 වසරේදී මැද $ 45 තිබූ තෙල් බැරලය මේ වනවිට $ 73 දක්වා ඉහළ ගොස්.අපගේ ආනයන අතරින් වැඩිම පිරිවැටුමක් යන භාණ්ඩය තෙල්.ඉහල යන තෙල් මිලත් සමග අපිට ඒ සදහා වැඩිපුර වියදම් කරන්න සිදුවනවා.එයත් සමග අපගේ ගෙවුම් ශේෂ හිගය වැඩිවනවා.අපේ රටින් එලියට යන ඩොලර් ප්‍රමාණයත් ඒ සමගම වැඩිවනවා.2017 වසරේදී වාහන ආනයනයේ යම් පාලනයක් තිබූවත් මෙම වසරේදී එහි වැඩිවීමක් දක්නට ලැබෙනවා.2017 වසරේ මුල් මාස තුනට සාපේක්ෂව 2018 වසරේ මුල් මාස තුනෙහි වාහන ආනයන වියදම් 87% ඉහළ ගොස් තිබෙනවා.මීට අමතරව අප ආනයනය කරන තවත් බොහෝ භාණ්ඩ ප්‍රමාණයක මිල ගනන් අන්තර්ජාතික වෙලදපොලෙහි මිල ගනන් ඉහළ ගොස් තියෙනවා.උදාහරණයක් ලෙස යකඩ, ඇලුමිනියම් ,තඹ සහ කිරිපිටි මිල ගනන් දක්වන්න පුලුවන්. ජාත්‍යන්තර මූල්‍ය අරමුදල සමඟ ඇතිකරගත් එකගතා සහ ලබන වසරේ ගෙවීමට ඇති විදේශ ණය ප්‍රමාණය මෙයට හේතුවක් ලෙස දකින්න පුලුවන්.මීට පෙර කාලවලදී රුපියලේ අගය අවප්‍රමානය වනවිට මහ බැංකුව මැදිහත්වී විවෘත වෙලදපොලෙහි ඩොලර් විකිණීම මගින් රුපියලේ අගය ආරක්ෂා කරනු ලැබුවා. නමුත් මෙවර මහ බැංකුව ඒ සදහා ක්‍රියාකාරී ලෙස දායක වීම අඩු කර තිබෙනවා.මහ බැංකුව විවෘත වෙලදපොලෙහි ඩොලර් මිලදී ගැනීම හෝ විකිණීම අපගේ විදේශ සංචිත සදහා සෘජුවම බලපානවා.මහ බැංකුව ව්වෘත වෙලපොලෙන් ඩොලර් මිලදී ගතහොත් එය විදේශ සංචිත සදහා එකතුවන අතර ඩොලර් විකුණුවහොත් එය විදේශ සංචිත වලින් අඩුවනවා.මහ බැංකු අධිපති ඉන්ද්‍රජිත් කුමාරස්වාමි පවසන ආකාරයට ජාත්‍යන්තර මූල්‍ය අරමුදල සමග ඇතිකරගත් එකගතාවයට අනුව මහ බැංකුවට මසකට $ 100 Mn පමණ විවෘත වෙලදපොලන් මිලදී ගත යුතුයි.මෙම වසරේ දෙවැනි භාගයේ සහ ලබන වසරේ අපට විශාල ලෙස විදේශීය ණය ගෙවීම් පවතිනවා.එම කාරණය නිසා මහ බැංකුව අපේ විදේශ සංචිත වියදම් කරමින් රුපියල අවප්‍රමානය වීම වැලැක්වීමට වඩා ණය ගෙවීමට විදේශ සංචිත ගොඩනැගීමට ප්‍රමුඛස්ථානයක් ලබාදී තිබෙනවා කියා පවසන්න පුලුවන්. විවිධ තේමාවන් මුල් කර ගනිමින් සංචාරක වයපාරය නැංවිමට බොහො රටවල් උත්සාහ ගන්නේ සංචාරක වයපාරය ඉතා පහසුවෙන් මුදල් ඉපයිය හැකි ව්‍යපාරයක් වන නිසා ඒ වගේම රට තුල ඇති විරකියාවට පහසුවෙන්ම උත්තර හොයන්න පුලු වන් සංචාරක ව්‍යපාරය තුලින් . තාර්කිකත්වය උපත ලබනුයේ කොතනින්දැයි දැන සිටීම තාර්කික මිනිසෙකු තැනීමේ මුලික පදනම වේ . කාලාම සූත්‍රය තුල බුදුන් වහන්සේ දේශනසා කරන්නේ තාර්කිකතත්වයයි .තාර්කිකත්වය යනු එක් පැත්තකින් මිනිසුන් සම්මුතියකට එළඹීමට පාර පෙන්වයි .තාර්කිකත්වය අංශ දෙකක් හෙවත් පැති දෙකක් හදුනා ගත හැකියි එකක් වන්නේ උපකරණාත්මක තාර්කිකභාවයයි එහිදී තර්කනය හුදු උපකරණයක් ලෙස භාවිතා වන අතර ලංකාවේ වෙළද දැන්වීම් තුල මෙම තාර්කිකත්වය බෙහෙවින් ඉස්මතු කරනු දැකිය හැකියි .තම නිෂ්පාදනය හො සේවාව අලෙවි කර ගැනීම සදහා නොයෙකුත් අංශ සමග ගලපමින් මතුපිට පෙනෙන තාර්කිකභාවයක් නිර්මාණය කරනු ලබයි .උදාහරණයක් ලෙස සමහර පිටි වර්ග බීමෙන් සිදු වන වෙනස පැහැදිලි කරනුයේ දොස්තරකෙනෙකු මාර්ගයෙන් වන අතර දොස්තරවරයෙකුට ඇති සමාජ බලය සහ පිලි ගැනීම නිසා ඉදිරිපත් කරන අදහස තහවුරු වේ. තාර්කිකත්වයේ අනෙක් ප්‍ර‍භේදය වන්නේ සන්නිවේදන තාර්කිකත්වයයි මෙහිදී අපි යම් යම් මත අදහස් දැනුම සන්නිවේදනය කිරීම සදහා තාර්කිකත්වය භාවිතා කරනු ලබයි .නව දැනුමක් හො නව අදහසක් සමාජගත කිරීම හො අලුත් වැඩපිලිවෙලක් සමාජගත කිරීම සදහා සන්නිවෙදන තාර්කිකත්වය උපයොගී කරගනු ලබයි .ටමෙහිදී මහජන කක්ෂය නැමති සංකල්පය හදුන්වා දෙනු ලැබුයේ හබර්මාස් නැමති ජර්මන් ජාතික චින්තකයා වේ .එහු සදහන් කරන පරිදි මහජන කක්ෂය තුල විචාරය සංවාදය සන්නිවෙදන ක්‍රියා සහ සන්නිවේදන තාර්කිකත්වය මත සමාජය තුල පවතින ප්‍රශ්ණ සහ ගැටලු වලට පිලිතුරු සාකච්ජා කර විසදුමකකට එළඹීමට හැකියාව ඇත .මහජන කක්ෂය අතිශයින් වැදගත් වන අතර රජය වෙළදපොළ සහ පුද්ගල ජීවිතයෙන් බැහැර සියලු ඉඩ මහජන කක්ෂයට අයත්වන අතර මෙම ඉඩ ප්‍රෙයාජනයට ගැනීම මත යම් සමාජයක දියුණුව ඇතිවේ . දියුණූ ප්‍රජාත්‍රන්ත්‍රවාදී සමාජයන් වල මෙම මහජන කක්ෂයේ ක්‍රියාකාරිත්වය වෙනුවෙන් වු ඉඩක් සන්නිවේදනය විසින් ලබාදී ඇත සන්නිවේදනය මෙහිදී වැදගත් කාර්යක් ඉටු කල යුතු වන්නේ සන්නිවෙදන තාර්කිකත්වය වැදගත් වන හෙයිනි .මෙහිදී දැනුම පිලිබද කාරණය පරික්ෂා කරනු ලබන්නේ එම දැනුමේ සමාජ භාවිතාවන් තුල බැවින් සන්නිවෙදනය දැනුම නිවරදි කිරීම සදහා සන්නිවෙදනය අතිශයින් වැදගත්වේ .යුගයක රජ කරන මතවාදය එම යුගයේ රජ කරන පන්තියේ මතවාදය වේ යනුවෙන් මාක්ස් විස්තර කරන්නේ මෙය විය යුතුයි .සන්නිවෙදනයේ ඉඩ සහ තාර්කිකත්වය බිද වැටුනු කල නිර්මාණය වන්නේ අධිපති මතවාදයක් රජ කරවීමකි .යම් කිසි දැනුමක් නිෂ්පාදනයේදී ඇති වන ක්‍රියාකාරිත්වයෙන් බැහැරව ලබා ගත නොහැකියි .මිනිසා සමාජ සත්වයෙකු ලෙස සිදු කරන්නේ තම ද්‍රව්‍යමය සංස්කෘතික සහ දේශපාලන ජිවිතයේ ලබාගන්නා දැනුම අනෙකා වෙත සන්නිවේදනය කිරීමකි. භාෂාව සහ වාග්කොෂය තාර්කික සන්නිවෙදනය සදහා මෙහිදී වැදගත් වන්නේ ඒ නිසාවෙනි .පෘතෘගීසින් මෙරටට පැමිණි විට එය දකින් සිංහල වැසියෙකු මේ පිලිබදව රජුට සැල කර සිටින්නේ තිරුවාන ගල් කන ලේ බොන සුදු මිනිසුන් කොටසක් කොළඹට පැමිණ ඇති බවයි .මෙහිදී පාන් සහ වයින් පිලිබද සංස්කෘති්ක ජිවිතයෙන් නුගත් සිංහලයා තම දැනුම තුලින් සන්නිවෙදනය කිරීමට යාම නිසා සිදු වුනේ තාර්කික සන්නිවෙදනය අහිමි වීමකි .ලංකාවේ ඉතිහාසය තුල දක්නට ඇත්තේ මෙම සන්නිවෙදනයේ තාරැ්කික භාවය අහිමි වීම නිසා ඇති වු ඛේදවාචකයන්ය .ගෙරිහම් කඩක් එලා ගැනීමට ඉඩ ලබා ගත් පෘතෘ ග්‍රීසීන් කොළඹ කොටුවේ ගෙරිහම් කඩ කුඩා තීරු වලට ඉරා විහාල ප්‍රෙද්ශයක් ඔවුන් සතු කර ගන්නා අතර පෘතෘග්‍රීසින් එලවීමට දෙවන රාජසිංහ රජු ලන්දේසීන් සමග ඇති කර ගත් ගිවිසුම තුල එක වගන්තියක් ලන්දේසි පිටපතේ අඩංගු කර නොගැනීම හේතු කරගෙන පෘතෘග්‍රීසි බලකොටු ලන්දේසීන් සතු කර ගත් අතර දෙවන රාජසිංහ රජුට මේ නිසා ඉගුරු දී මිරිස් ගත්තා වැනි ක්‍රියාවක් සිදු කල බව පිලි ගැනීමට සිදු වුයේ තාර්කික සන්නිවෙදනයට භාෂාව හරස් වු බැවිනි . ප්‍ර භේදමය දොෂ සහ සාහ්ථ්‍ය රසය ඉස්මතු කිරීමට යාම නිසා විකෘතියක් වු මහා වංශ ඉතිහාසය තුල තාර්කික ප්‍රතිවිරොධයක් එල්ල නොවන්නේ අධිපති මතවාදය විසින් ප්‍රශ්ණ කිරිම වලක්වා ඇති හෙයිනි . විහාරමහ දේවිය පිලිබද සිද්ධියේදී මුහුද ගොඩ ගැලු අවස්ථාවේ රට බේරා ගැනීම සදහා ඇය මුහුදට බිලි වු බව කියවේ මෙහිදී තාර්කික මනසට නැගෙන පලමු පැනය වන්නේ දේවානම්පියතිස්ස රජු දවස දියුණු විදේශ වෙළදාම නිසා ලොකයේ ප්‍රසිද්ධියට පත් ලංකාවේ මුහුදට බිලි වීම සහ ඒ සදහා නාවික යාත්‍රාවක් අවශ්‍ය කරනු ලැබුයේ ඇයිද යන්නයි .එසේම සුනාම් අවස්ථාවක නාවික යාත්‍රාවක් දියඹට ගෙන ගියේ කෙසේද යන්නත් දෙදහස් හතර සුනාමි අවස්ථාව හා සසදා බලා තීරණය කර ගත හැක. කතුවරයාගේ අවශ්‍යතාවය මත ගොඩ නැගුනු මෙවැනි මනංකල්පිතයන් තාර්කික ලෙස පිලි ගැනීම සන්නිවේදනයේ අධිපති භාවය තුල අහිමි කරැනු ලැබු සංවාද විචාර සහ ප්‍රතිවිරොධතාවයන් සදහා ඉඩක් ලබා නොදීම නිසා ඇති වුවකි. තර්කානුකූල දැනුම සමස්ථය දැකීමටත් ඒ දෙවල් වල ඇති නියම ස්වභාවය මත අභ්‍ය්තර සබදකම් කරා ලගා වීමටවිශාල පියවරක් ඉදිරියට තබනු ලබයි. භාවතාව මත පදනම්ව දැනුම සංවර්ධනය කිරිම සදහා නොගැඔුරු භාවයේ සිට ගැඹුරු භාවය දක්වා සන්නිවේදනයට කල හැකි කාර්යය අසීමිතය.මහජන අවකාශය හෙවත් මහජන කක්ෂය තුල සිදු වන තාර්කික සන්නිවේදනය තුල නිර්මාණය වනු ඇත්තේ ප්‍රබුද්ධ සමාජයකි . අපට අහිමි වී ඇත්තේ මෙම සමාජයයයි තාර්කිකත්වය අහිමී වී ඇති රැලේ යන රාචු මානසිකත්වයක් සහ මුග්ද තිරස්චීන අදහස් වලින් ඔලු ගෙඩි පුරව ගත් මිනිසුන් ප්‍රඥ්වන්ත මිනිසුන් බවට පත් කර නිවරදි තීරණ ගැනීම වෙනුවෙන් එම මිනිසුන් මෙහෙය විය හැක්කේ බාවිතාව පදනම් කර ගත් දියුණු වන දැනුම් පද්ධතියක් ඇති කිරීම තුලිනි මේ සදහා ඇති කල යුතු සංවාද තුල ප්‍රතිවිරොධතාවන් සන්නිවේදනය කල යුතු අතර ඒ තුලින් ගොඩ නැගෙන නව අදහස් නැවත නැවතත් ගැටෙමින් ආපොහක ක්‍රියාවලියක් බවට දැනුම පත් කිරීම සන්නිවේදනයේ ප්‍රමුඛතම කාර්යක් විය යුතුය . අප ජීවත්වන්නේ එක් අතකින් අප්‍රසාදයේ සහ පසු තැවීමේ කාලයකය .එක් අතකින් දියුණු ප්‍රජාත්‍රන්ත්‍රවාදය යහපාලනය වැනි සංකල්ප සමග ගනු දෙනු කරන් අතරම අනෙක් අතින් ම්ලේච්චත්වයේ මුගුරු දරන්නා වු මිනිසෙක් නිර්මාණය වී ඇත .ලිබරල් ධන්වාදය විසින් අපේක්ෂා කරන පරිදිම මිනිසුන් තම සාරය අහිමි කර ගනිමින් සිටිති. නිදහස් වෙළදපොලට අවශ්‍ය වනුයේ අවිචාරවත් මනසක් සහිත මිනිසෙකි ඔහු විචාරයකින් තොරවු තරමට වෙළදපොළ ප්‍රසාරනය පහසු වනු ඇත. එවැනි මිනිසුන් බහුල වු සමාජයක් අවිචාරවත් සමාජයක් බවට පත්වීම වැලැකිවිය නොහැක අපි සිටින්නේ එවැනි සමාජයකය. පුද්ගලයෙකුට මනසක් ඇතිවාක් මෙන්ම සමාජයටද මනසක් ඇත .පුද්ගල මනස පුද්ගල ක්‍රියාකාරිත්වයෙන් නිරූපනය වනවා සේම යම් සමාජයක මනස තේරුම් ගත හැක්කේ එම සමාජය නඩතුතු කරන්නාවු සංස්කෘතිය විසිනි .සංස්කාතිය උසස් වු විට සමාජ මනස උසස් එකක් බව නිරික්ෂණය කල හැකි වනවා ඇත .ප්‍රංාතන්ත්‍රවාදය යහපාලනය වැනි සංකල්ප නිර්මාණය වන්නේත් භාවිතයට ගත හැකි වන්නෙත් මෙවැනි දියුණු සංස්කෘතියක පමණී .සංස්කෘතිය දියුණූ නොවු විටෙක මෙවැනි සංකල්ප අංගවකල විම වැලැක් විය නොහැක .අප සිටිනුයේ එතනය.ඔිනෑම රටක සමාජ සංවර්ධනය විසින් දියුණූ අධයපන කමයක් නිර්මාණය කරන අතර දියුණූ අධ්‍යපන ක්‍රමයක් විසින් නැවතත් දියුණූ සමාජ සංවර්ධනයක් නිර්මාණය කරනු ලබයි .මේ දෙක එකිනෙකා මත යැපෙන අතර එකිනෙකාගෙන් පොෂණය ලබයි.දියුනු අධයපන ක්‍රමයක් සහිත රටවල් තුල සමාජ සංවර්ධනයක් විප්ලවයකින් හො ක්‍රමිකව සිදුව ඇති නිසා එම රටවල් දියුණූ අධයපන ක්‍රමයක් සකස් වී ඇත .මේ නිසා අධයපන ක්‍රමය විසින් රටට හිතකර මානව සම්පතක් ගොඩ නගනු ලබයි . සමාජ සංවර්ධනයක් සිදු නොවු තැනක අධයපන ක්‍රමයක් දියුණූ කල නොහැක ලංකාවේ අද දවසේ යථාර්ථය මෙයයි රටේ සමාජ සංවර්ධනයේ රොග ලක්ෂණයක් ලෙස අධ්‍යපනය හැදින්විය හැකිය.මේ නිසා අධ්‍යපනය රොගය යයි සිතා ප්‍රතිකාර කිරිමට යාම නිසා සිදුව ඇත්තේ රොගය තවත් උත්සන්න වීම පමණකි .යම් ගැටලුවක් උග්‍ර වන ්විට පුරුද්දට මෙන් අධ්‍යපන ක්‍රමයටත් ආගමික නායකයින්ටත් දොස් පවරනවා වෙනුවට කල යුත්තේ සමාජ මනස නිර්මානය කර ගැනිමයි .ඒ සදහා විශාල ප්‍රතිසංස්කරණයක් අවශ්‍ය වනු ඇත . එය සිදු කල හැක්කේ නායකයින්ට පමණී . අප වසර හැත්තෑවක් තිස්සේ නඩත්තු කල අධයපනයෙන් සහ සමාජ සංස්කෘතියෙන් අප අවසානයේ ඉස්මත්තට ගෙනවිත් ඇති පුරවැසියා තමාගේ යකඩින් තැනු වාහනයේ හැපුණු යකඩින් තනන ලද වාහනයේ මිනිස් රියදුරාට පහරදි මරා දමන්නට හැකි පුද්ගලයෙකි .එසේම එම මරණයෙන් පසු කඩවල් ගිනි තබා පූජනීය ස්ථාන විනාශ කල හැකි පුරවැසියෙකි .කොත්තුවට මිරිස් හොද්දට පමණක් නොව වචනයට ගහ මරා ගන්නා මිනිසෙකි .එසේම කුඩා පිරිමි දරුවන් පවා අපයොජනය කර මරා දමන මිනිසෙකි .අන් මිනිසුන් සමග නොව තම පවුල තුලවත් සහජීවනයෙන් වාසය කල නොහැකි පුරවැසියෙකි .පත්තර පිටු පිරවෙන්න.ට දිනපතා උදාහරන දොරේ ගලා යමින් තිබේ. සාක්ෂරතාවය කුමන් අගයක් ගත්තද යම් රටක් ප්‍රාථමික් අධයපනයේ අරමුණූ වලින් එකක් වන අනෙක් මිනසුන් සමග සහයොගයෙන් ජීවත් විය හැකි මිනිසෙක් අපට නිර්මාණය කර ගැනිමට හැකියාව ලැබී නැත .රටේ වාර්ගික්ආගමික බෙදීම් සොදා හැරිමට අපේ අධ්‍යපනය අසමත්ම ඇත .පුරවැසියාගේ ප්‍රජාත්‍රන්ත්‍රවාදි සමාජ ජීවිතයක් අපට අහිමිව ඇත .මානව සංවර්ධනය පමණක් නොව ආර්ථික සංවර්ධනයද අප තුලින් ඈත්ව යමින් තිබේ .ධනේෂ්වර සංවර්ධනයේ යහපත් අංගයන් වන ප්‍රජාත්‍රන්තුවාදය ,තාක්ෂණයේ ඇති වන දියුණූව මෙන්ම දැනුම වෙළදපොළ දියුණූව වැනි දේ තුලින්වත් අපට ප්‍රතිඑලයක් ලබා ගත නොහැකි තරමට අප දුර්වල ජාතියක් බවට පත් වෙමින් තිබේ . People are the sovereignty of a nation. As such, people have more political clout than most realize. Their day-to-day decisions thus have a huge impact on their country. However, contrary to the popular belief, people need not wait for the next election to stand up for their policies. In fact, every time we select one brand over the other, we are in essence supporting a policy that is important to us. Often it is the assurance of quality or affordability that motivates us to build a brand loyalty. Every time we make that purchase, we are actually supporting our motivating factor. It is our motivating factor that has made us loyal to that brand. If that motivating factor is removed, then we lose our loyalty to that brand. Increasingly, developed societies are using this buying power to send strong messages to their governments and to the industries. For example, choosing organic food sends the message to the agricultural industry your stand on chemical fertilizer. Buyers are also increasingly boycotting products from countries notorious for worker exploitation and sweatshops. How can a “Vote With Your Rupee” campaign benefit Sri Lanka? Almost all industries in Sri Lanka are facing a huge crisis currently due to the liberal policies adapted by the incumbent government. This government in a bid to level the playing field is removing all safeguards the local industries currently have in place. Most unfortunately this government does not factor the support other governments give to their industries in terms of subsidies as well as the economies of scale larger countries enjoy that we cannot afford. This gives an unfair advantage to the foreign companies that are importing their goods to Sri Lanka. With the recent signing of the Sri Lanka-Singapore Free Trade Agreement, the situation grows worse for not only the production sector, but also to the service sector. Hence, the Sri Lankan industries are fast approaching their last line of defence and that is the consumers’ choice. However, it will not suffice simply to embark on a “Be Lankan, Buy Lankan” kind of campaign. On its own, this kind of campaigns comes across as very superficial. It lacks the depth to take it beyond a fizz. This kind of campaign is better as a spinoff of a more in depth program that undertakes to educate the consumer the importance of supporting local industries. The consumer thus needs to first understand comprehensively the importance of local industries to the country and its economy in which the consumer too is a stakeholder. The consumer is thus asked to support the industry for these specific policies, which that industry pledges to adhere to and deliver. At the same time, it must be explained to the consumer the reasons to avoid or at the very least minimize purchasing imports. A good chunk of our forex is being earned by Sri Lankan workers in countries with atrocious human rights records. They are being exploited beyond any acceptable norms and are often subjected to many hardships. As seen in many cases, they obviously have no legal rights to defend themselves and are thus only marginally better off than slaves. Therefore, we have a moral duty not to waste that hard earned forex on something like imported confectioneries. If the forex keeps draining out of the country, we obviously become poorer. – the moral obligation we have towards our own society. One of the measures to see the change in the role of government in the social sector is to look at the total tax collection from the rich and the subsidies afforded to the less privileged people in the society. Thomas Piketty, a Nobel Prize winning economist, shot to fame in 2013 when he published his book “Capital in the Twenty-First Century,” which focuses on wealth and income inequality. As can be seen from his book published by Prof. Thomas Piketty the growing tax collection has enabled the developed countries (US, Britain, France and Sweden) to take on social welfare functions. A major portion goes to health and education. mastery as defined by NAEP, the U.S. GDP would increase by $32 trillion, or 14.6 percent. As for education policy reforms, the emphasis should be on quality or excellence in education and equality of educational opportunity. The origins of the reform movements are to be found in both the politics and economic developments of the ‘social democratic’ or ‘liberal’ bipartisan political consensus. The objectives of the reforms are to deal with declining international competitiveness and the raising of educational standards. From his comprehensive historical analysis, Piketty derives a grand theory of capital and inequality. As a general rule wealth grows faster than economic output, he explains, a concept he captures in the expression: r>g (where r is the rate of return to wealth and g is the economic growth rate). Quote, “The issue here is faster economic growth will diminish the importance of wealth in a society, whereas slower economic growth will increase it, meaning there will be more inequality.” Unquote. According to Piketty, the rate of return to capital has always been higher than the world growth rate, but the gap was reduced during the twentieth century, and might widen again in the twenty-first century. Spending on education and health accounts for 12-18% of national income in all the developed countries today. Primary and secondary education are almost entirely free for everyone in all the rich countries, but higher education can be quite expensive, especially in the United States. In all the developed countries, public spending covers much of the cost of education and health services: The goal is to give equal access to these basic goods: every child should have access to education, regardless of his or her parents’ income, and everyone should have access to health care. to the people. Consequently, the income inequality and social unrest are fast spreading across the regions, sub-districts and cities. Most of the top Business leaders and Professionals are of the view that the quality of life of not only poor, even the middle class is drastically declining. More and more people have become dissatisfied with the government machinery. This will lead to social unrest which makes the system un-governable. We need to be mindful that these ‘social- infrastructure’ activities-health & education- are interwoven with socio- political fabric of the society. What went wrong as that the successive governments wanted to bring in private medical colleges, without first improving the state university system, and where they should have concentrated on ‘non-medical sector’ higher education initially for much needed reforms in education. It is in this context only that a clear strategy of increasing public investments in education, at least 4-5% of the GDP should be viewed. This will enable the governments to mitigate the ‘student unrest’ to a certain extent.